a) Practical Examinations will be conducted from 27-05-2019 to 30-05-2019 in two sessions from 10.00 A.M to 12.00 PM and 2.00 PM to 05.00 PM. Click on AP Inter advanced supply exam Time tables 2019 link. The AP Intermediate Hall Ticket for 1st year and 2nd year examinations will be accessible to download from 1 weeks before the examination. 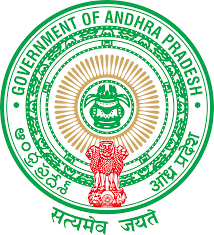 Students can download AP Intermediate Hall tickets 2019 from the BIEAP Official website, 'bieap.gov.in/jnanabhumi.ap.gov.in'. The hall ticket link will be activated on BIEAP official page on in May 2019. Hence students can keep visiting the portal regularly to check the availability of hall tickets. After downloading the hall ticket, once check through it for more details such as examination hall, venue, dates and timings of the examinations from it. Also, student’s name, father’s/mother’s name. hall ticket number, date of birth, signature, photograph details will be printed on hall tickets. Students can verify all the details once after downloading the hall ticket. The AP Intermediate Hall Ticket 2019 for 1st Year and 2nd Year will be accessible to download from May 2019 (Tentatively). Students can follow up the BIEAP portal regularly for more details. Candidates are instructed to Verify their exam centre well in advance . Downloaded Hall-Ticket is valid with the Signature of the Principal Only. Students presently pursuing the class 11th and 12th/ Intermediate 1st and 2nd year in the state of AP will be having the examinations in Feb-Mar months. BIEAP will conduct the 11th and12th class examinations in the month of May as per scheduled dates. The examination will be conducted for science, arts, and maths students. To attend the examinations, students must have to download BIEAP Inter1st and 2nd year call letter 2019. The hall ticket will be released before 07 days of the examination (approximately). Hence the students can get ready to download the admit card when it is accessible to download on the BIEAP official website, bieap.gov.in/jnanabhumi.ap.gov.in. Candidate signature, photograph Date of birth of the candidate. Examination center Date and time of the examination. AP Inter 1st Year Hall tickets May 2019 – Available Soon...! AP Inter 2nd Year Hall tickets May 2019 – Available Soon...! 1. Students who are appearing in AP Intermediate exams visit the website i.e." jnanabhumi.ap.gov.in". 4. Enter required info like "Registration number/Roll no and Date of Birth". 5. Click on Get hall Ticket Button. Hall Ticket/Admit Card will appear on your device. 6. Save and take print of your Hall Ticket. Keep a copy of AP Intermediate Hall Ticket 2019 for future reference. 10. They are also punishable under AP Public Examinations Act No. 25 of 1997. 11. Candidates writing the examination at a centre other than the allotted one are liable for cancellation of their performance. Don’t Forget To Share This Information about Ap intermediate 1st,2nd year Advanced supply Time Table,Hall Tickets May-2019 Among All Your Friends & Colleagues. Make Them to Check Their Ap intermediate 1st,2nd year Advanced supply Time Table,Hall Tickets May-2019. Also Share This Info On Your Social Media Pages.